11/04/2018�� A look at the full agenda package for this week's convention is available here. While the Lester Centre events are for the most part designed for registered participants in the conference, the Trade Show is open to the public today and tomorrow. The Board Chair will acknowledge that this meeting is being held on Traditional Territory. 2. 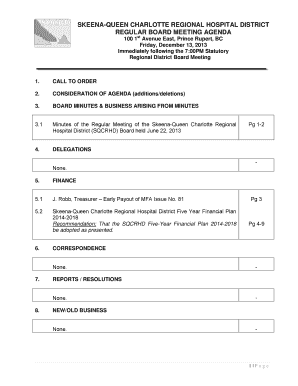 ADOPTION OF AGENDA 3. DELEGATIONS/ PRESENTATIONS 4.